The tournament is going to be on Lucksacks. 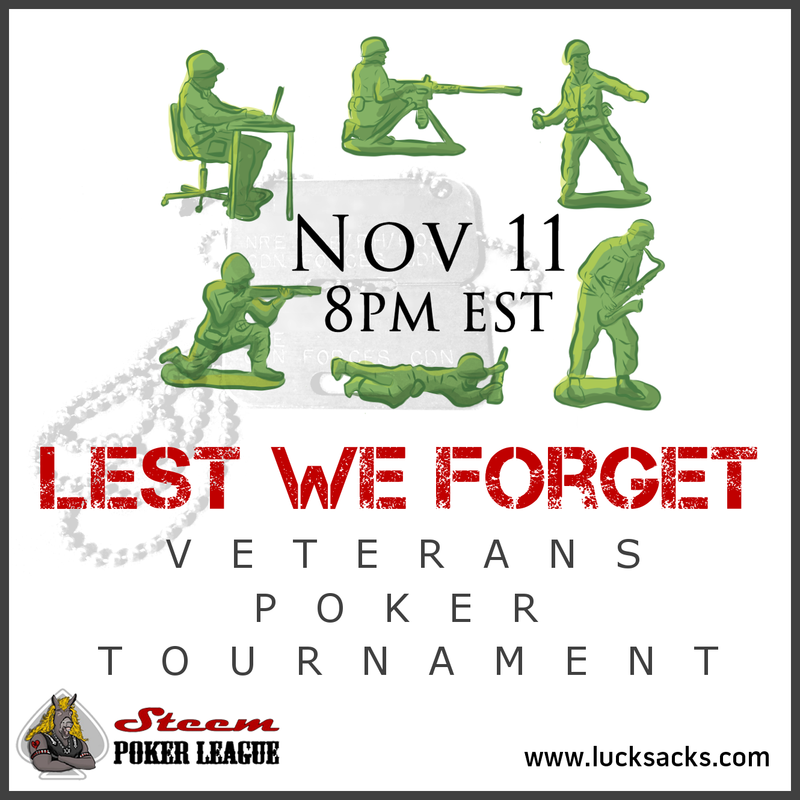 The tournament will start on Nov. 11, at 8 pm EST. Sign up now to take part in the tournament! @derangedvisions (witness @c0ff33a), @guiltyparties, @jackmiller, and @themarkymark, and yours truly (witness @noblewitness). Give my fellow veterans a vote.